Excellent process and terrific experience. She was great at communicating along the way, very fast and sent a great final product. This intriguing wrap-around ring gives the illusion of multiple pieces due to its flowing lines and unorthodox structure. 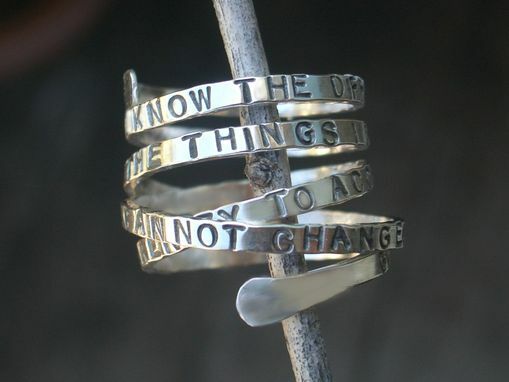 A single strip of hand-cut and polished silver twists around the wearer's finger, and is long enough to fit the Serenity prayer engraved and oxidized on its surface. 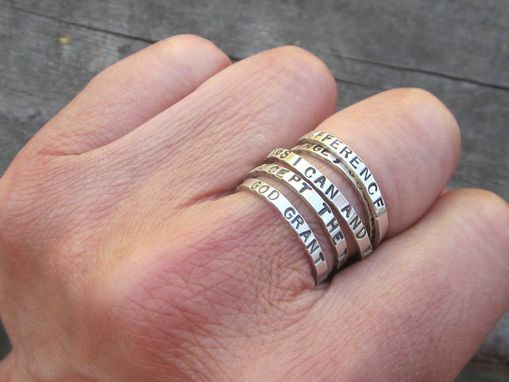 The ring is around 1/2-inch in diameter, and also has nice hand-hammered edging that complements the letters imprinted on it. Every maker has a story. 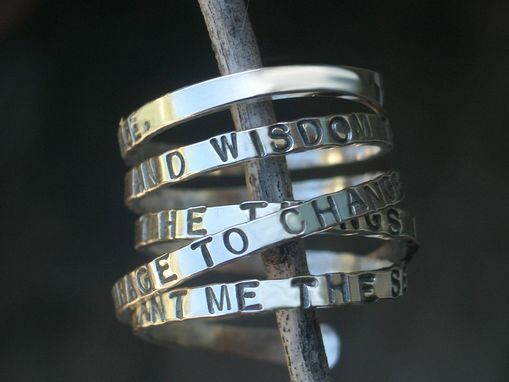 Be a part of Donna Okino Jewelry's story by placing an order, leaving a review, and seeing your review appear here.